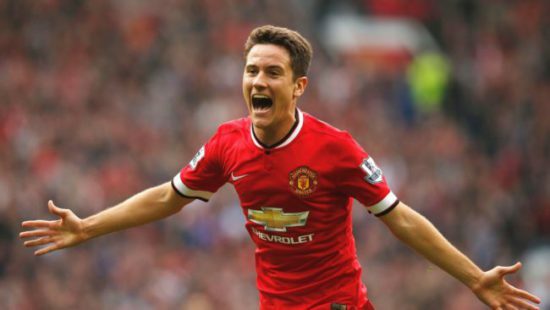 Manchester United won the EFL Cup and Europa League last season and a crucial member of our success was Ander Herrera. The player had finally found his mojo in the heart of the midfield and was one for the first names on the team sheet of Jose Mourinho, who was impressed with his commitment, drive and passion to help the team. This season, however has seen the player’s stock drop spectacularly and has been rumoured to be interesting Atletico Madrid which would be a sad way to end his United career. The player was rumoured to have fallen out with Jose Mourinho after bringing over a friend to a training session last term before the Europa League semifinals against Celta Vigo, as the friend reportedly had links to the Spanish outfit. The signing of Nemanja Matic has meant that his game time has been reduced win the former Chelsea man performing the defensive midfield role to perfection. His contract has not been extended as the club have only activated his 12-month extension clause. He is looking dispensable at the club and the emergence of Jesse Lingard has meant that Jose will play a 4-2-3-1 all day long, with Pogba and Matic preferred in the pivot role. Despite winning Player of the Year last season, the player has been out of form, out of sorts and looking nowhere the imperious best he was last year. Few would forget the way he expertly handled Chelsea in the 2-0 victory at Old Trafford last year, and many will be hoping he gets back to his best and offer another outlet to our midfield options.